Published May 15, 2018 at 1:06 p.m. 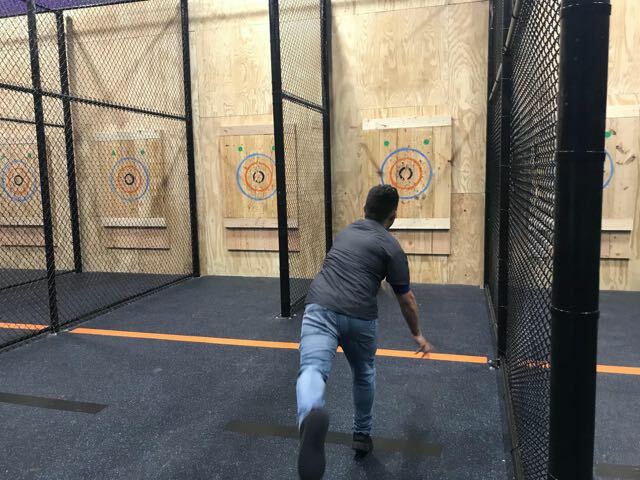 Fling Milwaukee, which offers axe-throwing courts located inside Bay View's Bounce Milwaukee, swung into action this week. Fling is home to Milwaukee's first axe-throwing experience, with AXE MKE opening next month. Fling's grand opening takes place Saturday, May 19, from 7 p.m. to 1:30 a.m. The event is a benefit for Hope House Milwaukee and a $5 donation is suggested. Anyone who donates will get one-on-one axe-throwing instruction, Fling Milwaukee swag and discounts on future experiences. "Plus, if you hit a bullseye on one of your first three throws, we'll send you off with an engraved flask, pint glass or bag," says co-owner Becky Cooper-Clancy. 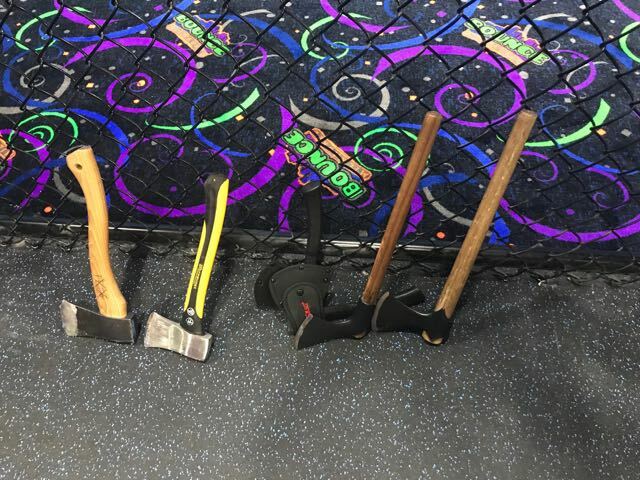 Axe-throwing is akin to darts, bowling and batting cages with separate targets, etiquette rules and coaches on site to ensure safety. It's a sport anyone can – literally – give a whirl and is played as a scored-game or just a random throwing experience. Participants must be at least 14 years old. "No skills are necessary, just be ready to throw," says Clancy. "Our awesome coaches and staff will guide you through the whole thing." 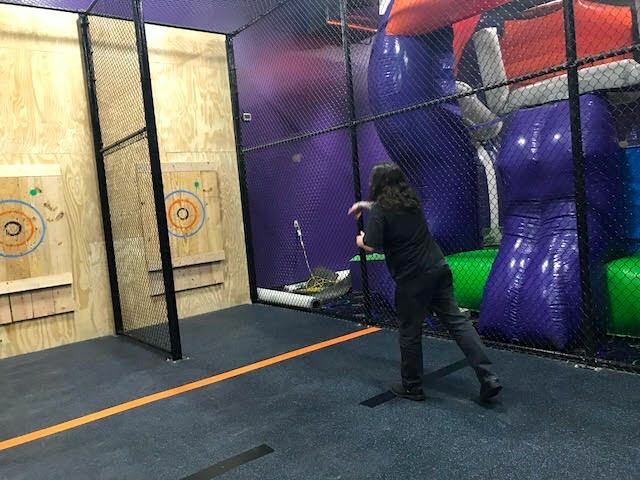 Axe-throwing is one of many activities available for kids and adults at Bounce/Fling Milwaukee, which also offers inflatables, laser tag, rock climbing, vintage video games, quality food items, a full bar and more. Bounce is currently installing a giant playground and an area of oversized blocks for fort building.